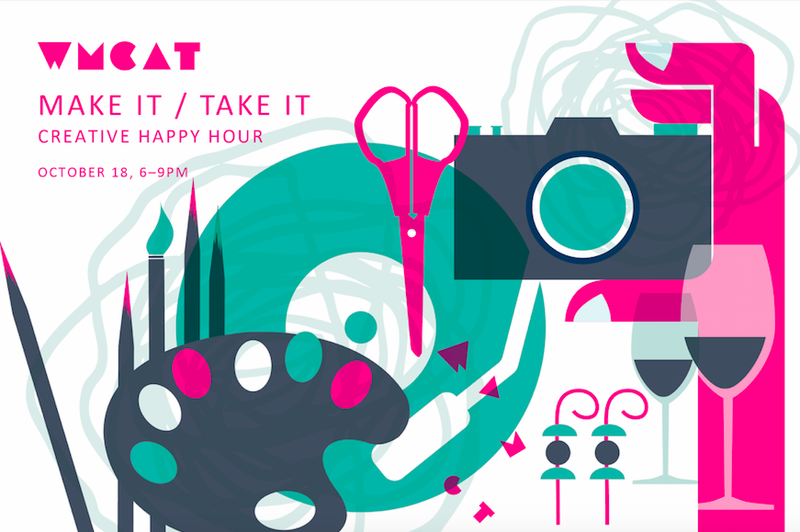 Our neighbors at WMCAT are hosting a creative happy hour called Make It Take It, on Thursday, October 18 from 6-9 pm. There will be appetizers, drinks, music, and creative activities (where you can take home your creations!). This casual, high-energy event, hosted in their brand-new space on the Westside, will support a culture of opportunity at WMCAT. To learn more or purchase tickets, click here!